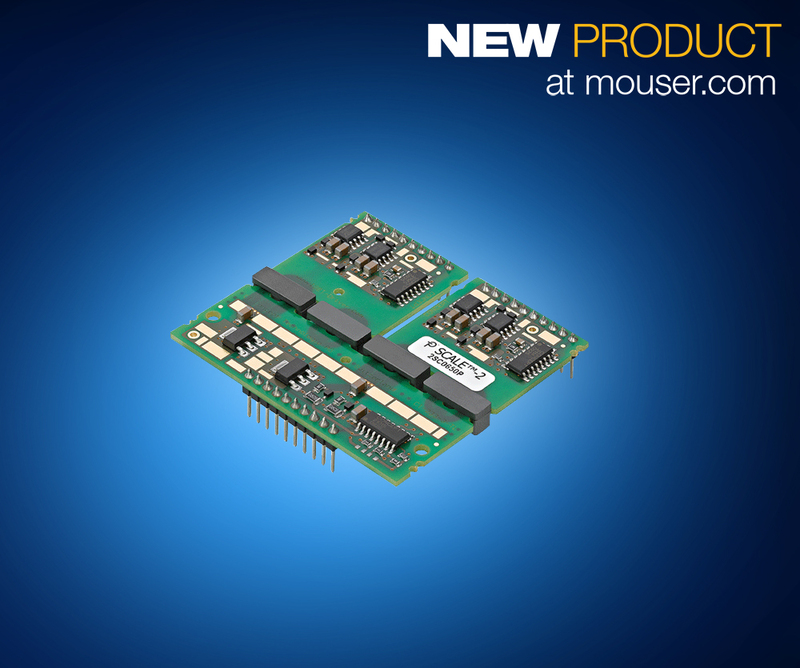 Mouser Electronics, Inc., the industry’s leading New Product Introduction (NPI) distributor with the widest selection of semiconductors and electronic components, is now stocking the SCALE-2 IGBT gate drivers from Power Integrations. These extremely flexible insulated gate bipolar transistor (IGBT) gate driver cores integrate commonly required driver functions — including galvanic isolation, protection, and DC/DC conversion — in a single module. The SCALE-2 IGBT gate drivers are suitable for driving power MOSFETs and devices based on new materials such as silicon carbide (SiC) operating at switching frequencies up to 500 kHz. The Power Integrations SCALE-2 IGBT gate drivers, available from Mouser Electronics, are each based on an advanced ASIC chipset that integrates the full functionality of a dual-channel gate driver core in a primary-side chip logic-to-driver interface (LDI) and a secondary-side chip intelligent gate driver (IGD). The highly integrated level of the ASIC chipset enables the number of discrete components to be drastically reduced, resulting in cost and reliability advantages for designers. The modules are available with blocking voltage capabilities from 600V to 6500V and from 1W to 20W per channel. 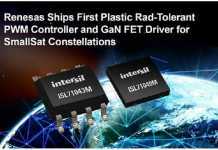 To ensure optimum performance for direct driving of external N-type DMOS elements, the pre-driver stages of each of the modules incorporate separate gate resistors for independent control of on/off functionality. 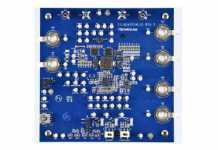 Each module offers designers product flexibility and functionality through optimal dynamic switching performance and accuracy, delivering high reliability and analog performance while also providing a reduced digital feature size that optimizes their cost and performance. 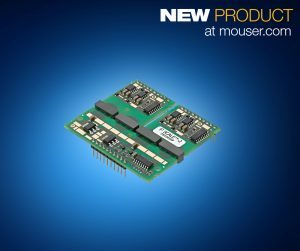 Offered in single- and dual-channel options, the modules provide all the common driver functions necessary to operate a broad array of industrial, motor control, power transmission, traction, solar, wind and automotive applications.